Mega Man X SNES Super Nintendo Game Cartridge Cleaned Tested and Guaranteed to Work! As his life was ending, Dr. Light was successful in creating the first in a new series of robots that could think and make decisions on their own. Fearing the worst, Dr. Light sealed the robot until all of its systems could be thoroughly tested. Released from the capsule by Dr. Cain, "X" is born into the world of the future where the robot rebellions are a thing of the past. But when Dr. Cain tries to implement Dr. Light's designs into a new series of Reploids, something goes hideously wrong. 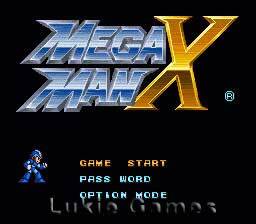 Now, the new Mega Man must fight to save humanity in 12 levels of intense action. Will he be successful? Find out with Mega Man X. Received my order very quickly, everything was in excellent condition;the labels and the cassettes was practically new, the best game !!!! Nuevamente Gracias Lukie Games! Debo decir que el juego que se me vendio es un orgasmo jajaja... Imcreible! ambos labels en una condicion fisica extraordinaria!... el Cartucho completamente Original, woooohuuuu! I was a huge fan of the mega man games growing up. I own all 6 on NES. I had never played this game before. Great gameplay. Adds new dimensions to the mega man. Highly recommend. I saw, i ordered, Lukie games delivered! All is well !! So happy with this! Great condition and I love this game sooooo much! Megaman games are the best! I loved this game when I was a child and I love it still to this day. Top 5 in my all-time favorite video games overall. Excellent game graphics, really catchy tunes, and challenging bosses to the very end. Only took me a little over an hour to beat the game but I could slam Level 3 Sigma all over his floating fortress all day long! 5 stars x's infinity! Had almost forgotten how good this game really is! 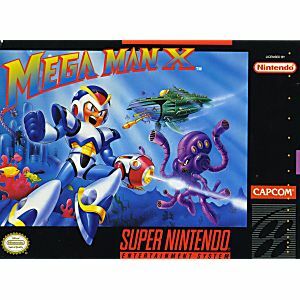 One of the best games for the SNES. 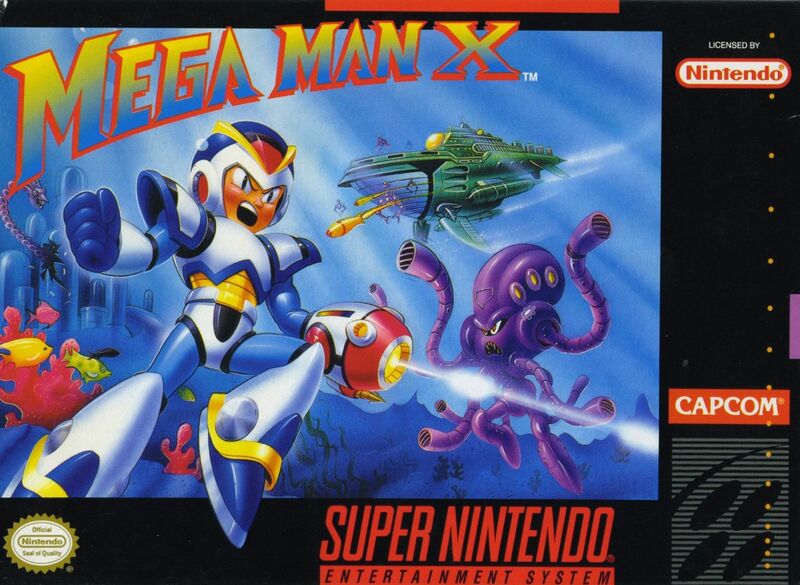 Mega Man X was a giant leap forward in the series. It kept the feel of the original NES games, but added incredible 16 bit graphics, ledge jumping, and even more powers! 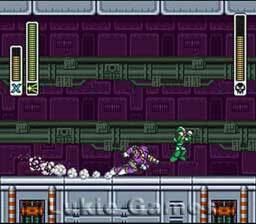 Zero was first introduced in this game, and soon become one of the most adored and respected Mega Man characters. The story in this game was fantastic, with a few twists at the end. It was an amazing upgrade from the classics, and a great start to its own series.